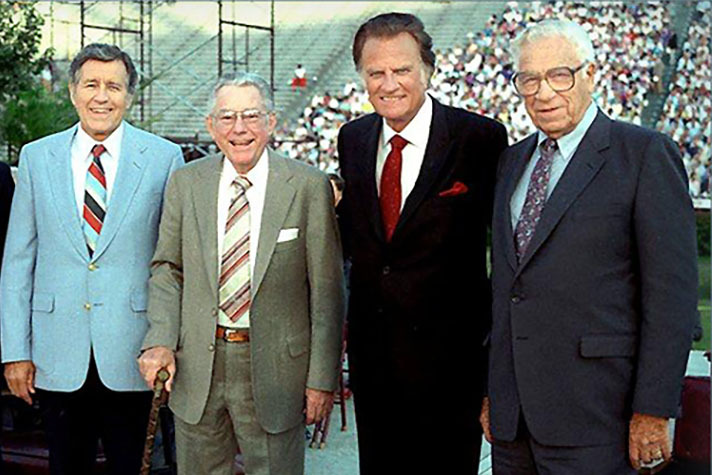 The ministry team of (L-R) Cliff Barrows, Grady Wilson, Billy Graham and George Beverly Shea remained strongly rooted in Biblical principles long after the Modesto Manifesto was drafted. In 1948, Billy Graham began a series of evangelistic meetings in Modesto, California, along with his ministry team, comprised of Cliff Barrows, George Beverly (“Bev”) Shea and Grady Wilson. Through a series of conversations about ministry life and its challenges, the group met together in Modesto and resolved to uphold the highest standard of Biblical morality and integrity. Many pastors, ministries, parachurch organizations and individuals have been inspired over the decades to adopt these philosophies. One afternoon during the Modesto meetings, I called the team together to discuss the problem. Then I asked them to go to their rooms for an hour and list all the problems they could think of that evangelists and evangelism encountered. 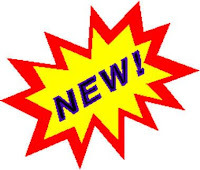 When they returned, the lists were remarkably similar, and in a short amount of time, we made a series of resolutions or commitment among ourselves that would guide us in our future evangelistic work. In reality, it was more of an informal understanding among ourselves—a shared commitment to do all we could do to uphold the Bible’s standard of absolute integrity and purity for evangelists. The first point on our combined list was money. Nearly all evangelists at that time—including us—were supported by love offerings taken at the meetings. The temptation to wring as much money as possible out of an audience, often with strong emotional appeals, was too great for some evangelists. In addition, there was little or no accountability for finances. It was a system that was easy to abuse—and led to the charge that evangelists were in it only for the money. I had been drawing a salary from YFC (Youth for Christ) and turning all offerings from YFC meetings over to YFC committees, but my new independent efforts in citywide campaigns required separate finances. In Modesto we determined to do all we could to avoid financial abuses and to downplay the offering and depend as much as possible on money raised by the local committee in advance. The second item on the list was the danger of sexual immorality. We all knew of evangelists who had fallen into immorality while separated from their families by travel. We pledged among ourselves to avoid any situation that would have even the appearance of compromise or suspicion. From that day on, I did not travel, meet or eat alone with a woman other than my wife. We determined that the Apostle Paul’s mandate to the young pastor Timothy would be ours as well: “Flee … youthful lusts” (2 Timothy 1:22, KJV). Our third concern was the tendency of many evangelists to carry on their work apart from the local church, even to criticize local pastors and churches openly and scathingly. We were convinced, however, that this was not only counterproductive but also wrong from the Bible’s standpoint. We determined to cooperate with all who would cooperate with us in the public proclamation of the Gospel, and to avoid an antichurch or anticlergy attitude. The fourth and final issue was publicity. The tendency among some evangelists was to exaggerate their successes or to claim higher attendance numbers than they really had. This likewise discredited evangelism and brought the whole enterprise under suspicion. It often made the press so suspicious of evangelists that they refused to take notice of their work. In Modesto we committed ourselves to integrity in our publicity and our reporting. So much for the Modesto Manifesto, as Cliff (Barrows) called it in later years. In reality, it did not mark a radical departure for us; we had always held these principles. It did, however, settle in our hearts and minds, once and for all, the determination that integrity would be the hallmark of both our lives and our ministry. Billy Graham’s commitment to integrity stems from his relationship with Christ. You can know Christ, too.